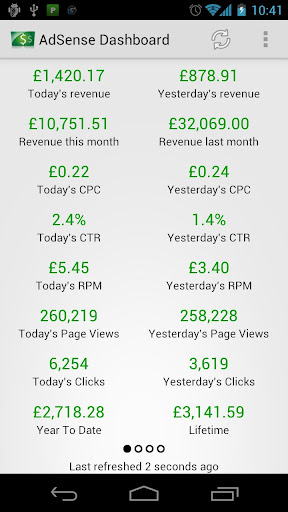 As soon as I joined the AdSense programme the first thing I wanted to be able to do was to check my earnings on the move on my phone. Check your earnings today, yesterday, this month, this year and all time! What more do you need!